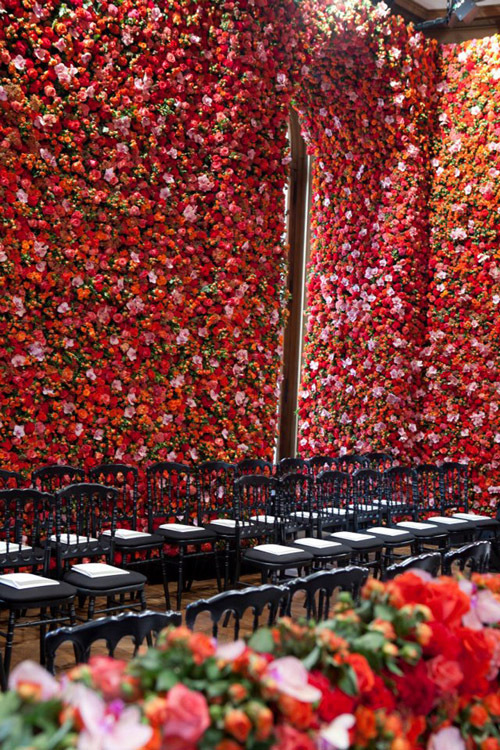 I am in absolute awe of Raf Simons' floral display for the Christian Dior couture show. I am sure that there are brides who saw this inspiring floral wall, and immediately shot off an email to their wedding planners. At this grand scale, it is definitely a splurge. (If you think of "splurge" as an expenditure that you should otherwise be able to drive.) However, a similar modern, yet romantic arrangement is totally foolproof for table decor. All you need are supermarket roses, a low vase, and florist sponge. 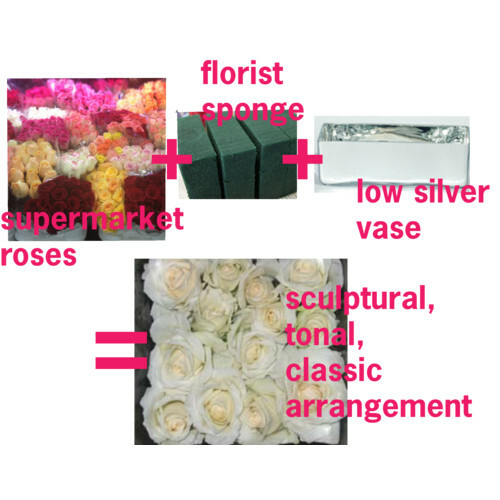 First fit the sponge snuggly inside the vase, then simply cut your roses down. Just make sure that the stems are long enough to soak up the water in the sponge (and it is always easier to cut more off later, but you can't add length!). 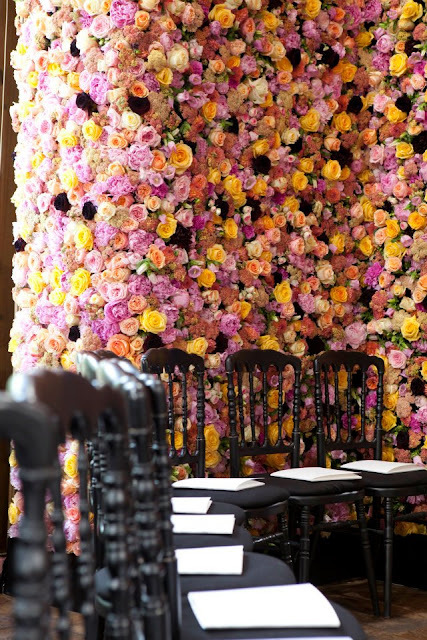 Use one color (which is my favorite look) or a combination of colors for a more whimsical take.